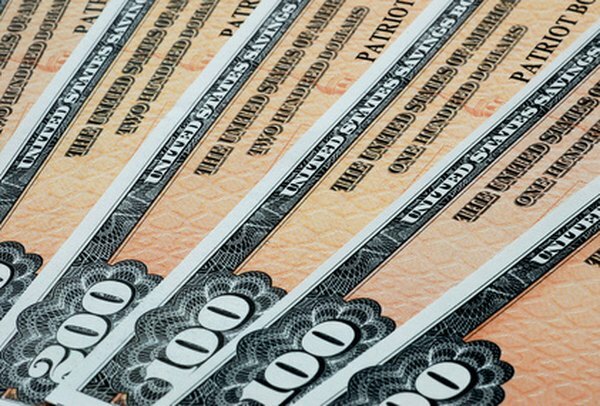 U.S. Savings Bonds are one of the most widely held debt investments in the world. Investment products usually fall into one of two categories: equity securities or debt instruments. You can think of these categories as "ownership" vs. "loanership." When you buy an equity security, such as stock or real estate, you have an ownership position in the investment. When you buy a debt instrument, such as a corporate or government bond, you are actually loaning money to the issuer in exchange for a stated rate of interest and a promise to repay the loan at a future date. A bond is one of the most common types of debt instruments purchased by individual investors. Bonds are issued by corporations, municipalities or the federal government and represent a kind of I.O.U. They are sometimes referred to as bills, notes, debt securities or debt obligations. Bonds may be virtually risk-free or extremely risky investments, depending on the issuing organization. Interest is what the issue pays for the privilege of using your money. Most bonds make fixed interest payments twice per year, making them appropriate investments for individuals who want a steady stream of predictable income. Some bonds pay a variable interest rate, and some bonds, referred to as zero-coupon bonds, don't pay any interest at all during the life of the bond but are bought at a deep discount and are redeemed for the full face amount. Bonds are issued at a set face amount. Corporate bonds are typically sold in increments of $1,000, while municipal bonds are sold increments of $5,000. U.S. government bonds are sold in a variety of face amounts. Bonds might be initially issued at a premium or discount to their face amount, depending on current market conditions. Once they are issued, the market price of a bond fluctuates up or down, typically in the opposite direction of movements in the prevailing interest rate. Bond prices can also be affected by changes in the issuing organization's credit rating. Bonds issued by the U.S. Department of the Treasury are considered to be the safest of all investments because they are backed by the full faith and credit of the U.S. government. The interest on government bonds is fully taxable on your federal income tax return but is exempt from state and local income taxes. The interest on bonds issued by states and lower municipal subdivisions is typically exempt from federal income taxes and may also be exempt from state and local income taxes for holders who live in the issuing municipality's jurisdiction. The interest on corporate bonds is fully taxable at federal, state and local levels. Investing in Bonds.com: What Are Bonds? Investing in Bonds.com: Why Invest in Bonds? Investing in Bonds.com: What Are Municipal Bonds? Investing in Bonds.com: What Are U.S. Treasury Securities? Investing in Bonds.com: What Are Corporate Bonds?